Certified. One Owner, Clean Car Fax, 14-Way Power Seats w/Memory Package, 20" RS Spyder Design Wheels in Platinum Satin (9.5" rim width), Automatically Dimming Exterior & Interior Mirrors, BOSE Surround Sound System, Comfort Lighting Package w/Memory Package, Front & Rear Park Assist w/Reversing Camera, Front & Rear Seat Heating, Front Seat Ventilation, Infotainment BOSE Package w/HD Radio, Lane Change Assist (LCA), LED Headlights w/Porsche Dynamic Light System Plus, Online Services, Panoramic Roof System, Porsche Entry & Drive, Premium Plus Package, SiriusXM Satellite Radio. Clean CARFAX. CARFAX One-Owner. Certification Program Details: Current model year vehicles and those of 13 previous model years with less than 124,000 miles are eligible for enrollment. Buying a Porsche Approved Certified Pre-owned Vehicle means that your dream will remain unbroken. In fact, we are so confident in our high standards that we put our name on it: Porsche Approved. Porsche Approved means 2 Years / Unlimited Miles Warranty coverage after the expiration of the new vehicle limited warranty or from the date of sale if the new vehicle limited warranty has expired The vehicle meets the Porsche preparation standards The certification vehicle has been inspected in compliance with our 111-point checklist All work has been performed by Porsche trained technicians Only Genuine Porsche parts have been used $0 Deductible! Warranty is Fully Transferable! Awards: * 2016 KBB.com 10 Best Luxury SUVs * 2016 KBB.com Brand Image Awards Buy from the First and Best Porsche dealership in Central Texas! The best prices and biggest discounts on CPO Porsche, used Porsche, and other Exotic performance vehicles. Call Internet sales for the lowest price 8 4 4 - 4 7 7 - 6 9 3 6 or see all of our inventory at www.PorscheAustin.com * While every reasonable effort is made to ensure the accuracy of this information, we are not responsible for any errors or omissions contained on these pages due to errors with our third party website provider. ABS brakes, Electronic Stability Control, Heated door mirrors, Illuminated entry, Low tire pressure warning, Power Steering Plus, Remote keyless entry, Traction control, Wheels: 8J x 19" Fr & 9.5J x 19" Rr Boxster S Alloy. Clean CARFAX. CARFAX One-Owner. 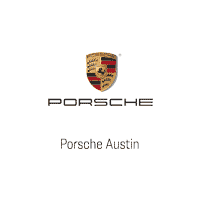 Awards: * 2016 KBB.com Brand Image Awards Buy from the First and Best Porsche dealership in Central Texas! The best prices and biggest discounts on CPO Porsche, used Porsche, and other Exotic performance vehicles. Call Internet sales for the lowest price 8 4 4 - 4 7 7 - 6 9 3 6 or see all of our inventory at www.PorscheAustin.com * While every reasonable effort is made to ensure the accuracy of this information, we are not responsible for any errors or omissions contained on these pages due to errors with our third party website provider.